Leads come from many different sources, each with its own value: PPC, whitepapers downloads, trade shows, and the list goes on. Not surprisingly, they are not equally prepared to hear from sales and need to be approached accordingly. 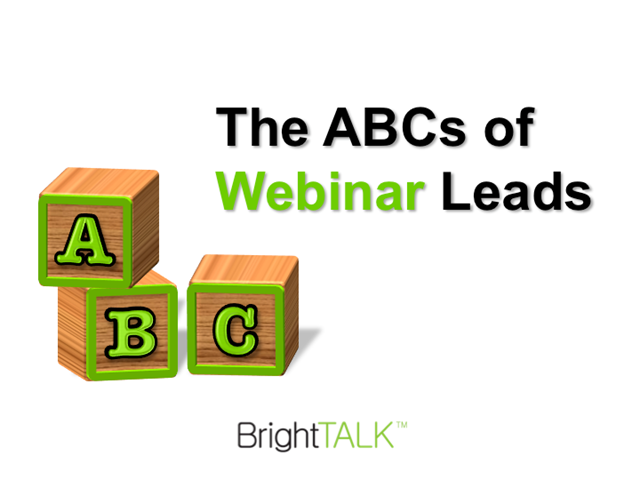 Join this BrightTALK roundtable as we discuss the fundamentals of driving quality webinar leads and best practices for following up on them from the perspective of sales and marketing both.